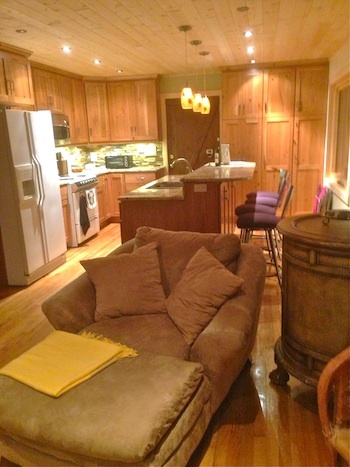 Whether you are on your honeymoon or celebrating an anniversary in Wisconsin, this cabin is for you! Congratulations! No need to look any further! 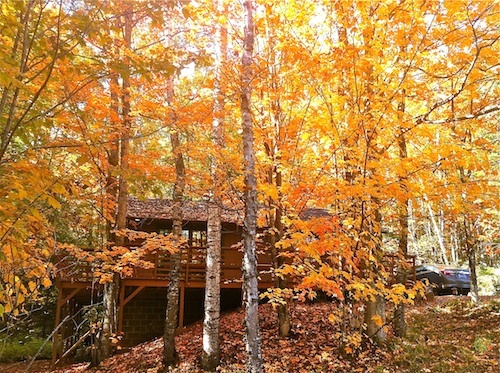 This cabin is delightfully gorgeous, sitting deep into the most colorful array of trees; the sun peeking out oh so perfectly that you will think you are in heaven. Hauser’s Cabin has it all. You want the beach? The romantic sunset on the deck? Maybe you won’t leave the property at all. 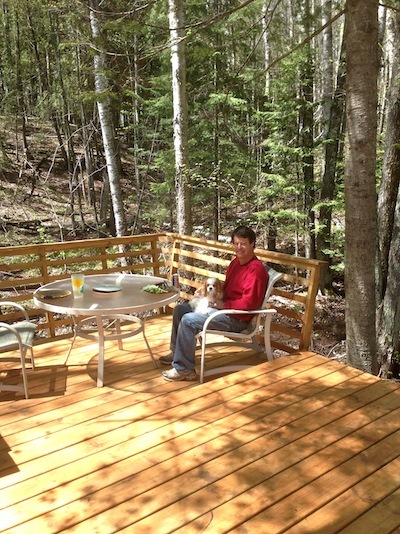 This PET FRIENDLY cabin near the Apostle Islands is fully furnished with so much to do that you will not get bored! 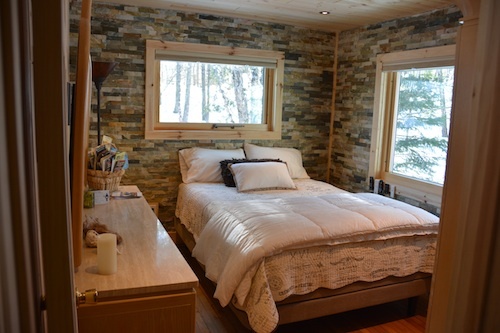 See why Milwaukee Sentinel voted this one of the top 10 cabins in Wisconsin! 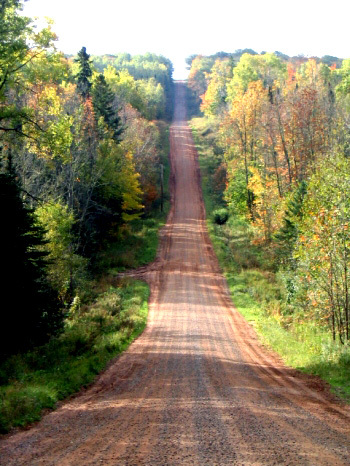 With Wisconsin’s northern most picturesque town, Cornucopia only 15 miles away, why wouldn’t you consider this beautiful place? Let’s start with the inside. 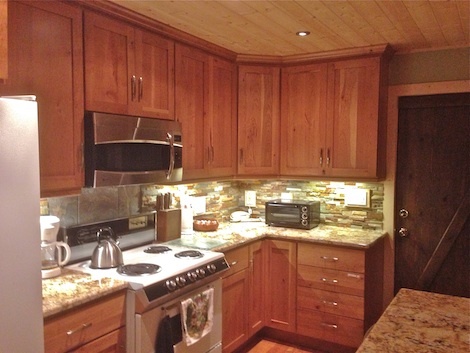 This 1 bedroom cabin has free WIFI and SIRIUS SATELLITE RADIO! Watch a movie on Amazon Prime in bed on the New Queen Sertia iComfort Savant bed with remote control to ensure maximum comfort. Wake up in the morning and cook gourmet breakfast in the fully equipped kitchen stocked with dishes and spices and furnished with granite marble tops and top of the line appliances. Feeling cold in the long winter afternoons? Sit by the fireplace and enjoy the sofa and chaise lounge chair with a cup of cocoa and challenge each other to friendly rounds of board games. Ready to adventure outside? You will never be bored with the endless activities. Contemplate your day starting out on the deck with some coffee and ponder whether you are going to the warm, shallower beach (which is practically your own) or whether you want to go on a hike, a bike ride or explore by sailboat or kayak to the islands that populate near Lake Superior’s shore. Want a nice romantic weekend getaway filled with adventure? 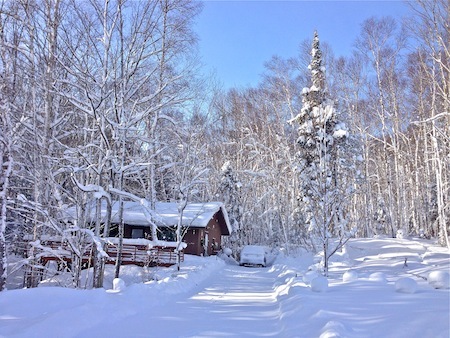 This cabin is perfect for skiers whether is it is downhill or cross-country skiing and the snowmobile trail is right out the front door! 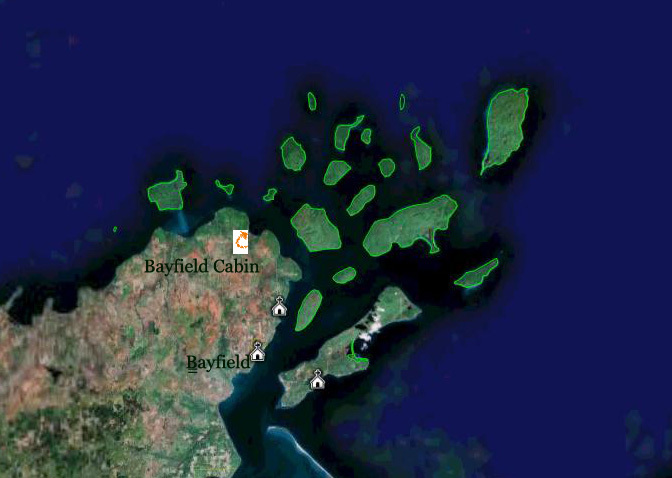 Make sure you take in the Apostle Island Annual Dog Sled Races. While there make sure you check out the ICE CAVES, A NATIONALLY RECOGNIZED LANDMARK that has travelers from all over the world exploring it. Need more details? Click here for more information, rates and availability. Stay warm by the fire, whether you’re inside or outside by the fire pit but remember the one reason you are there; to share the enjoyment the sheer beauty of solitude and simplicity together. Got a larger group? 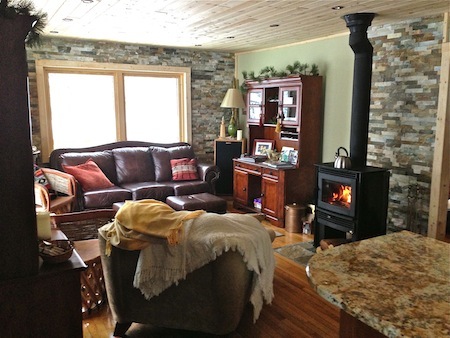 Visit RentWisconsinCabins.com when it’s time to find the ideal Wisconsin cabin, cottage, lodge, or home. 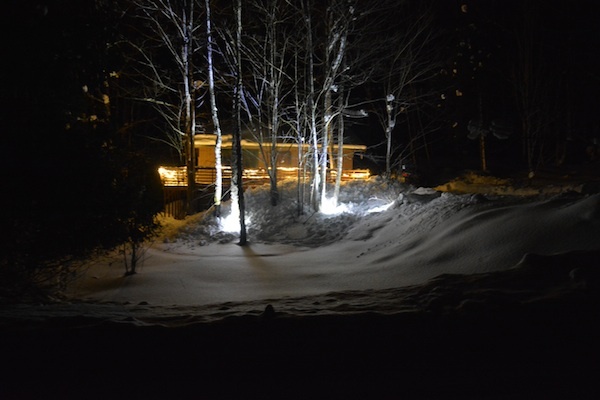 This entry was posted in WI Vacation Destinations and tagged anniversary trip, couple's retreat, honeymoon cabin. Bookmark the permalink.